Interested in Learning to Cook Authentic Mexican Dishes? Let me share with you the cooking knowledge I gained over my 20+ years in Mexico. 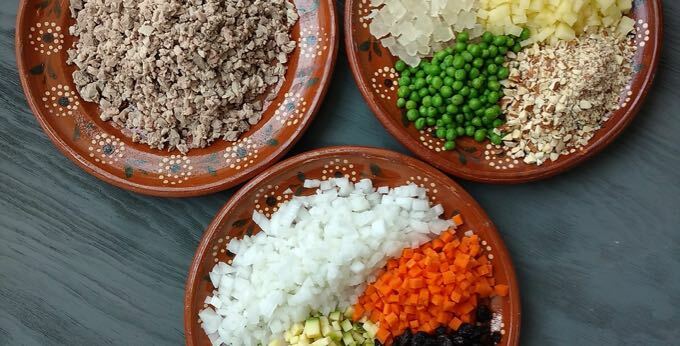 I have been fortunate enough to live in San Miguel de Allende, Puerto Vallarta, Monterrey and Durango and traveled to many places throughout the country: Mexico City, Guadalajara, Oaxaca, Tamaulipas, Guanajuato and Queretaro where I have experienced many of the regional differences in Mexican Cuisine. I love to teach. You can find out a bit more about my experience here. 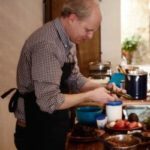 My classes are for cooks who have a beginning to intermediate knowledge of Mexican cuisine and cooking techniques and would like to learn to recreate their favorite dishes or learn to make use of all of the incredible chiles, beans, fruits and vegetables available in the mercados. The blog will give you some inspiration. Try here and here. Cooking authentic Mexican food is easier than you think! Classes are ambitious where you cook a variety of different dishes and atmosphere is relaxed, in person and virtual, and everyone has a chance to participate. Classes are like cooking in a friend’s kitchen not a taking a formal lecture course. But, you will learn skills that will last a lifetime and of course you will have lots of fun. What do people think of my classes? I have been coming to Mexico for 30+ years and am a pretty serious cook. I have taken cooking lessons from chefs all over Mexico, but Doug’s classes are my favorites. His knowledge of Mexican cuisine—and particularly the different ingredients, techniques and regional variations—is encyclopedic. But, he is able to explain it all very clearly and demonstrate the various techniques and dishes in a relaxed, pleasant way. Michelle F.
We all had a total blast at the cooking class. You have such an ease with a group of people!! Thank you! Thank you!! Who knew that you could eat cactus and that it would be so delicious! The girls and I have been talking about getting together for dinner and trying to at least recreate the salsa and mole sauce. I have enjoyed researching Diane Kennedy a bit more. Both of you have helped me to feel more brave when it comes to trying a new dish. I look forward to keeping in touch and the next time I am in San Miguel I would love to dine out with you and friends etc. San Miguel definitely captured my heart! Its a very magical place indeed! Elizabeth E.
Doug’s classes are not just educational, they are yummy and a lot of fun. I enjoyed them because he is so modest and unassuming and also I like the kind of people who show up. I highly recommend them to anyone who is interested in Mexican culture, Mexican food, or just looking for a fun hands-on good time. Sharon D.
It is a great pleasure to be in Doug’s class. I have continued to use all the recipes Doug shared. I highly recommend his classes – you won’t be sorry!” Rachel R.
I believe I have participated in 5 group cooking lessons with Douglas now. Everything from “Cooking with Cactus” to “Cooking with Chiles”. This guy is a Hoot!! Must say he is one of the most entertaining of instructors and places great emphasis on “student participation” which adds so much fun to the lesson. I offer to types of cooking classes hands on in San Miguel de Allende and virtual classes over Skype. You don’t need to be in Mexico to learn how to make great Mexican food. If you are in San Miguel de Allende and would like an introduction to Authentic Mexican cooking I offer hands on cooking classes. I will create a special menu for you and your group based on what dishes you would like to learn. In general, I always try to include some unique dishes and ingredients plus dishes that you will easily able to recreate at home in your menu. We always make enough food so that you will have some to enjoy the following day. As part of the class, we serve you the dinner you have created and do all of the clean up so you don’t have to worry. Do you have any preferences for dishes? Let me know and I will create a menu around them. Not sure what you would like to cook? I will send you three menus and you can choose the one that most interests you. Great for cooking parties or as a birthday gift for your favorite cooking fan – A unique party option. Get your friends and family together for food, drinks and fun. Create unique dishes and lasting memories. Over Skype, I join you in your kitchen to work with you to create the Mexican dishes of your choice. Get help with menu creation and meal planning. Ask questions about cooking techniques, the history and culture behind the dishes or how to adapt your favorite Mexican dishes to meet special dietary needs. To prepare for your class we have a quick 10 minute phone consultation about what ingredients, equipment and set-up you needed for your class. You’ll receive a supermarket checklist ensure that you don’t miss any ingredients and a checklist with all of the required and optional equipment you’ll need. 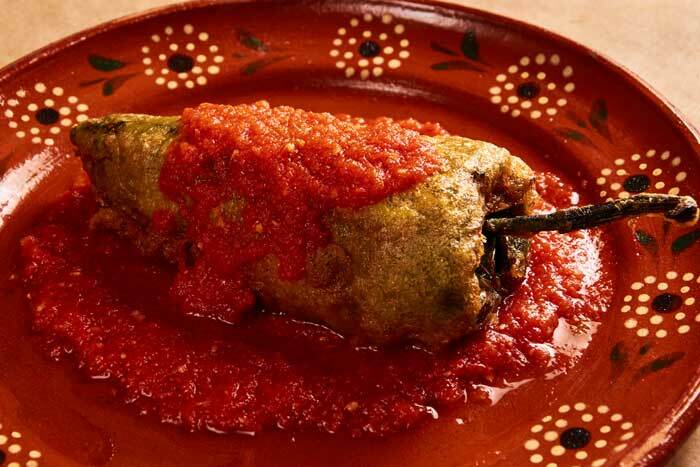 Here is a menu that I cooked with a group that was really interested in learning to prepare different of types stuffed chiles and the wanted a dish with cactus. Keep in mind that this is only one menu. The options are nearly limitless. Let me know what special dishes you would like to learn how to cook.